The Calgary Horror Con is the first and largest Convention in Canada dedicated to Horror. The Convention is a gathering for the community of fans who love all forms of horror; be it cinema, literature, live performance, or art. From the initial idea sprung a grassroots movement by a group of volunteers, and the support of amazing local Alberta talent. The convention consists of celebrity guests, vendors, panels and an international film festival. Dan Doherty grew up in Miramichi, New Brunswick. From the limited selection of VHS movies from a small corner store, Dan's fascination with Horror was born. It was a test of bravery or a test of the limits of what he could stomach. In 2010, Dan decided to start the Calgary Horror Con, due to his lifelong interest in the Genre applying over a decade of business experience as well as training. Other previous businesses were, IT Contracting and Consulting (10 years), Computer Repair Shop (5 years),& Comics and Collectibles Store (5 years). Lee Brown grew up in Cornwall, Ontario. His love of horror began at an early age with a VHS copy of “The Evil Dead”, and to this day “The Evil Dead Trilogy” remains one of his favourites. Since moving to Calgary in 2005 he has acquired an impressive collection of horror movies, and has been an extra in a number of movies, most recently as a zombie in a local production. Whether in one of his homemade costumes, or doing stand-up at Yuk Yuk’s open mic night, Lee enjoys bringing a smile to everyone’s face. If you see him, feel free to come up and say hi. Katrina Kryzalka grew up in the small town of Whitecourt, Alberta. In the long run it was a good thing because it made a good movie night an adventure. Scouring the five dollar movie bin led to the Nightmare on Elm Street franchise getting discovered and her romance with 80’s horror bloomed. In 2012 she moved to Calgary to get her broadcasting diploma. Over the years she’s expanded her horizons in the horror genre and is always looking for the next project to get her hands bloody in, whether it be helping as an extra or with makeup. In her spare time she hits up every rock and roll show possible and is always searching for the next gem to add to the movie collection. 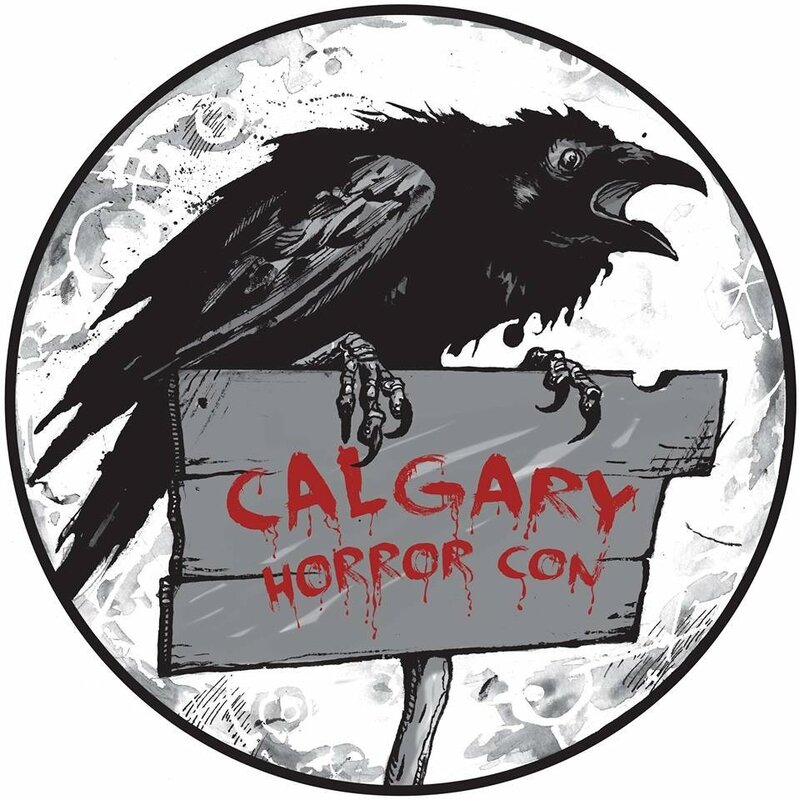 The Calgary Horror Con is dedicated to the advancement and promotion of all horror-related communities and their activities within Calgary and the global arena. Our mandate is to work towards the betterment and success of local performers, artists, trades and businesses for the development of a stronger and enriching Horror community. Through networking and developing collaborations between all horror-related artistic activities, the Calgary Horror Con is dedicated to promoting Calgary as a diverse, and prolific source of horror arts, culture, performance, and business.